It's all about the tone. Guitarist Dustie Waring of the North Carolina-based progressive metal band Between The Buried And Me worked closely with Mojotone to create his extremely versatile signature pickup, the DW Tomahawk. Dustie knows that heavier music has plenty of delicacy and requires a pickup that can aid the guitarist in achieving this. Mojotone use a custom blend of ceramic and alnico magnets, along with their special winding technique, to give the DW Tomahawk the power and big bottom end of a high-output humbucker while breathing with the clarity and articulation of a vintage humbucker. 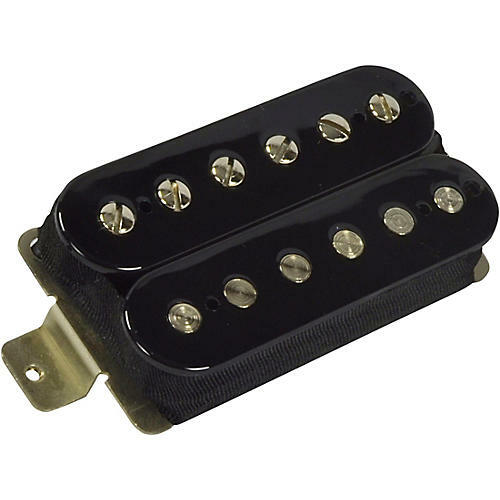 The DW Tomahawk is a one-of-a-kind, passive, high-output humbucker, designed to have more clarity without muddying up or compressing your sound like most other high output pickups. This is a fresh take on high-output humbuckers that won't leave you disappointed or uninspired. Handmade in the USA. Order today.